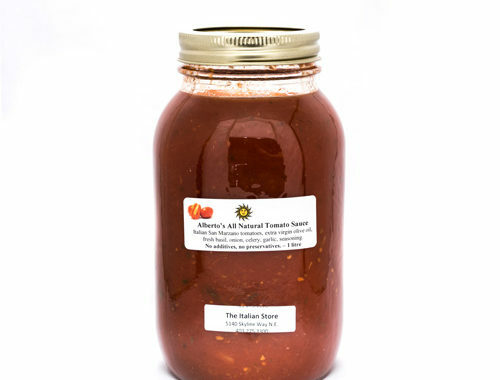 Created in house in our commercial kitchens is Alberto’s All Natural Tomato Sauce. This sauce contains Italian San Marzano tomatoes, extra virgin olive oil, fresh basil, onion, celery, garlic and seasonings. No additives or preservatives. Available in the store or wholesale.